Mom’s left again. Her twice daily cooking has left with her too. Now every time I go into the kitchen and try to toss a bunch of wilted spinach or throw away leftover rice, I’m accosted by the question “what would mom have done?” That spinach would have found itself in a dal or a soup or in rotis and the rice would have become a tasty stir-fry. Mom certainly wouldn’t have ordered take-out several times a week. She would have put together a healthy meal in no time. 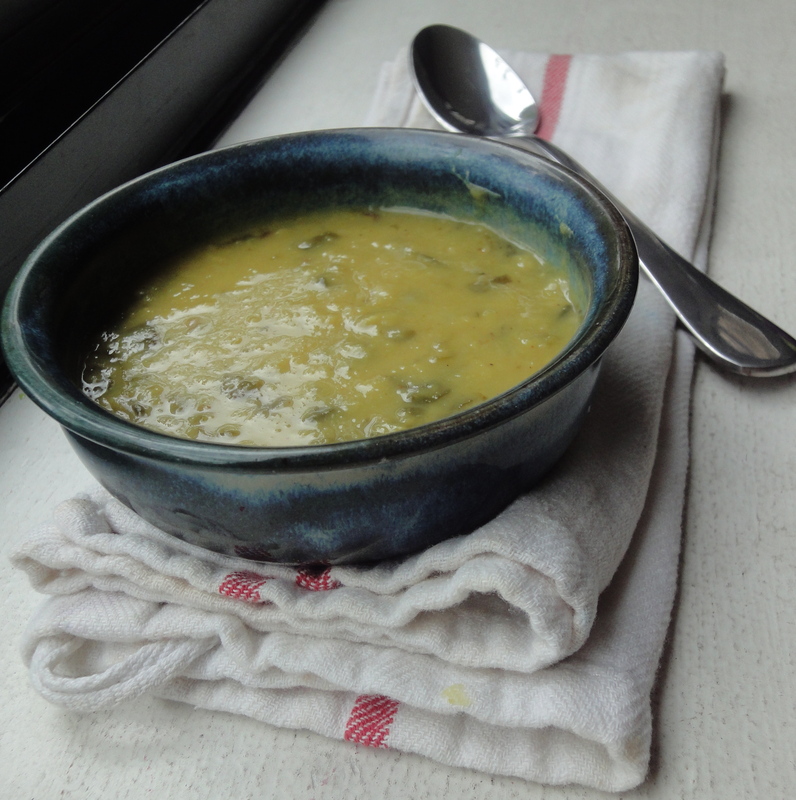 Mom’s spinach dal is a satisfying lentil and spinach soup with bits of onion, garlic and ginger. I can’t eat dal without a tarka of ghee and heeng, and I’ve also found that turmeric adds an incredible flavor and color to dal. This dal makes great use of leftover spinach which you can add in practically any quantity. It can be served with rice or rotis, with a side of yogurt and red onions. 1. Pressure cooker: Wash the toor dal and place into pressure cooker. Add enough water such that there is water about a 1/2 inch above the toor dal. Throw in several handfuls of washed and roughly chopped spinach. Add some turmeric and a little salt. Bring to three whistles on medium heat. Turn off heat and put cooker aside. Wait for steam to escape before opening. 2. Tarka: Meanwhile, heat ghee in a separate pan and add asafoetida. Sputter cumin seeds when hot. Add the onions and saute. When the onions are a little cooked, add the chopped garlic and ginger. Cook for a minute or so, but not too long else the garlic and ginger will burn. 3. Put the tarka in the spinach and dal mixture and add the garam masala, cayenne pepper and salt to taste. Cook on medium heat, stirring frequently until mixture comes to a boil. Cook for a minute or two. Serve hot.